There seems to be a need for SRH to rejig the batting order. Four changes in the last game against Delhi Capitals and yet the Sunrisers Hyderabad (SRH) lost to DC by 39 runs. The middle-order has posed a massive challenge to the SRH team in their last three encounters. The players don’t seem to be in good form and that will be one of the biggest concerns for the franchise moving forward. They must have some stability once the openers fall and players like Manish Pandey and Vijay Shankar haven’t been bankable. Thus, the Sunrisers might look for a rejig in the batting order to strengthen the team. This could potentially add a great deal of stability as well and SRH will have some good options to finish the innings. Kane Williamson was at his best for the SRH when he opened the innings. The right-hander is a master at finding the gaps in the field and is crafty with his lofted shots as well. Once he gets his eye in, Williamson can easily bat throughout the 20 overs without taking much of a risk. Thus, the SRH management should look to getting their captain back to open the innings. With Williamson opening the innings, there is a rock of stability at the other end. This will help David Warner play with a lot more freedom. Due to the added burden, his strike rates have taken a dip in the last two matches. However, he will look to attack the bowlers during the powerplay itself. The SRH team could have Vijay Shankar back at number three. He’s done a fairly good job at this position and now has got the additional responsibility since he is selected for the World Cup as well. Manish Pandey is expected to be back in the squad for Ricky Bhui. At the moment, there is a lot of money pressure on him. Furthermore, he is usually caught between attack and defence. No matter what the situation might be unless he is batting with a tail-ender, Manish should look to take the attack to the opposition. Even if he can score a quickfire 20 or 30 off 10 or 15 balls, it will be great for the team. Jonny Bairstow batting at five is a good option. He’s done that for England and knows how to deal with the situation. SRH can look at him as someone who will finish the games for them in pressure situations. Deepak Hooda and Abhishek Sharma are naturally aggressive players. They shouldn’t look to curb their instinct and should try to attack the bowlers. Having someone like Bairstow in the middle-order will give them a lot of freedom as well. Along with Shankar, this duo has got to bowl four overs in the match. Rashid Khan has been bowling well but is unlucky not to have as many wickets as he’d have wanted. He seemed to be confident about his ability and felt that he is in a good space while talking to the commentators. The leg-spinner doesn’t want to add any new dimension to his bowling at this point in time. Bhuvneshwar Kumar is getting better with every game that he plays. His slower balls and yorkers are coming off well. 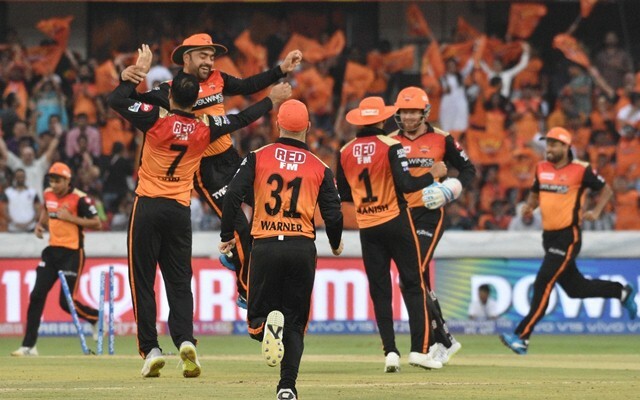 Progressing ahead in the tournament, these are very good signs for SRH. The pacer picked up two wickets against the Delhi Capitals. Khaleel Ahmed was highly impressive in his maiden outing this season. The left-arm pacer picked up 3 important wickets and will have to continue with the same kind of bowling. Sandeep Sharma is handling the burden during the powerplay and can swing the ball both ways. It will be great for the team if he can pick one or two early wickets.